Kings Park is a beautiful city park in Perth. The atmosphere is cool, green round there will spoil you. It also has a glass bridge, which became the highest point in Perth. Wow so amazing. City of Perth in western Australia has many beautiful tourist attractions. 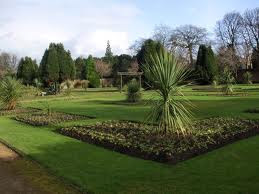 One thing that you should not miss is the Kings Park, a beautiful garden area and wide. Area of ​​the park is about 4 square kilometers, as well as being one of the largest urban parks in the world. Been to Kings Park, you'll be presented with the all the trees and green hills. Gorgeous scenery and calming views. With a clean atmosphere and beautiful gardens, is guaranteed to be a feast for the eyes and a nice refreshing place. The style and architecture of Kings Park has a model similar to the English garden. First, Australia was colonized by Britain, so there are some cultures that are still attached. At the Kings Park memorial monument there is also the Australian soldiers, who died during World War. In addition, Kings Park, also known as 'the highest point in Perth'. If a glass bridge that extends across about 100 yards, then you've climbed the highest point of City of Perth. From the bridge, you will see the CBD, Swan River, Perth City and the south. It's beautiful! Kings Park a destination you should visit when traveling to Perth. This beautiful city park that will provide unforgettable experiences and memorable. Do not forget to take pictures there as much.